The office is located in Suite 202 at the Wynnewood West Center, a two-story building just west of the Whole Foods Market (which is at the corner of East Wynnewood Road and East Lancaster Avenue) in Wynnewood, PA. Unfortunately, some visitors entering our address into their favorite navigation app have been directed as far away as Penn’s campus or into other towns. It is easily reached from the Schuylkill Expressway (I-76) via EXIT 339 – City Ave./Route 1 South. Stay to the left on the exit ramp, and then turn RIGHT onto City Ave./Route 1 South. Continue on City Ave. approximately 2.7 miles to Lancaster Ave./Route 30 West and turn RIGHT (St. Charles Seminary on right). Go 1.5 miles on Lancaster Ave. to the Wynnewood West Center, the next building after CVS on the right hand side. There is a traffic light at Old West Wynnewood Road just before the parking lot entrance. Look for the tall sign at the sidewalk that says “Wynnewood West” at the top. Turn right into the lot. Free parking is available in the front of the building. 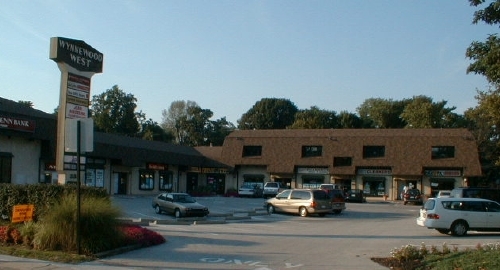 The main entrance, marked “Wynnewood West Offices,” is between the Tepper Pharmacy and Roger’s Cleaners. Take the stairs to the second floor and turn right to Suite 202. From Springfield take Route 1 North (City Ave.) to Lancaster Ave./Route 30 West and turn LEFT. From the Paoli area, take Route 30 East (becomes Lancaster Ave.). Follow the rest of the directions provided above from Lancaster Ave.